Orland Park Mediation Attorney | Johnson & Johnson, Ltd. Experienced Orland Park mediation attorney. Divorce is never easy and it can be an emotionally difficult and stressful situation for families. When a divorce or custody dispute becomes hard or complex, any sort of problem could stall the process. Sometimes an Orland Park mediation attorney is necessary to provide support, guidance, and resolution to resolve the problems. At Johnson & Johnson, Ltd. our attorneys are skilled in mediation and negotiation techniques. Couples often begin the divorce amicably, however, as the process continues there are often disagreements regarding the settlement terms. These disagreements may become so difficult to resolve that they postpone the divorce process completely. When this occurs, one option is to seek help from an Orland Park mediation attorney. Mediation is professional help with resolution of difficult problems that may arise regarding the terms of a divorce. Before the divorce can become completed the couple must be able to agree to the most basic of terms. A mediator is specially trained to work with couples in resoling these types of difficult situations. The goal of the mediator is to assist couples in coming to an agreement. This often requires both parties to make some compromises. An Orland Park mediation attorney is skilled in helping couples get resolution to these difficult problems so the divorce can proceed. When a divorce or child custody situation comes to a standstill because couples cannot come to agreement, the best solution may be mediation. Mediation can make the process shorter and facilitate an agreement that is acceptable to both parties. This can often result in a faster and less costly process than typical litigation. 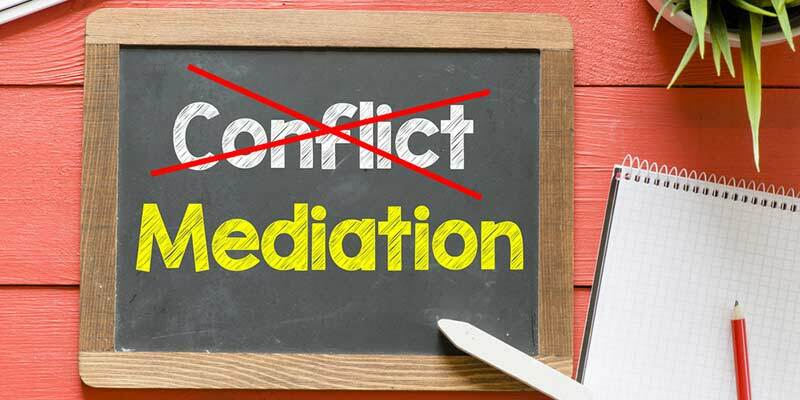 While litigation could take months, mediation may resolve the situation in a much shorter period of time. Thus, the process can move forward and the family can get back to normal as quickly as possible. Electing to utilize an Orland Park mediation attorney will certainly be of benefit to everyone involved, especially if the divorce has become hostile or unfriendly. Mediation is often the most viable way to move the divorce forward when couples are not in agreement. Mediation is completely confidential and discussions during mediation are not allowed in court proceedings. For this reason, mediation offers a unique way to discuss problems. Both parties are able to make their desires known and often this helps to open up lines of communication. An Orland Park mediation attorney assumes a neutral position and will facilitate discussions without judgment. While mediation is not necessary in all divorces, it is often a useful tool in resolving difficult or unique situations. Sometimes the process is moving along well until some particularly complicated or emotional discussions are required. It is then that communication may break down or one party may dig his or her heels in on a certain issue. Often, just a few sessions with an Orland Park mediation attorney are all that are required to open up talks between parties. Mediation is completely confidential, so a party may say something without fear of it being used against them later. When a divorce is likely to become problematic, it may be helpful to seek help from an attorney with experience in divorce and mediation. A qualified Orland Park mediation attorney understands the process and is skilled at resolving contentious divorce issues. Choose a lawyer with experience in both family law and mediation. The compassionate attorneys at Johnson & Johnson, Ltd. are here to represent your needs and protect your rights throughout the mediation process. Contact our firm today to schedule a consultation.